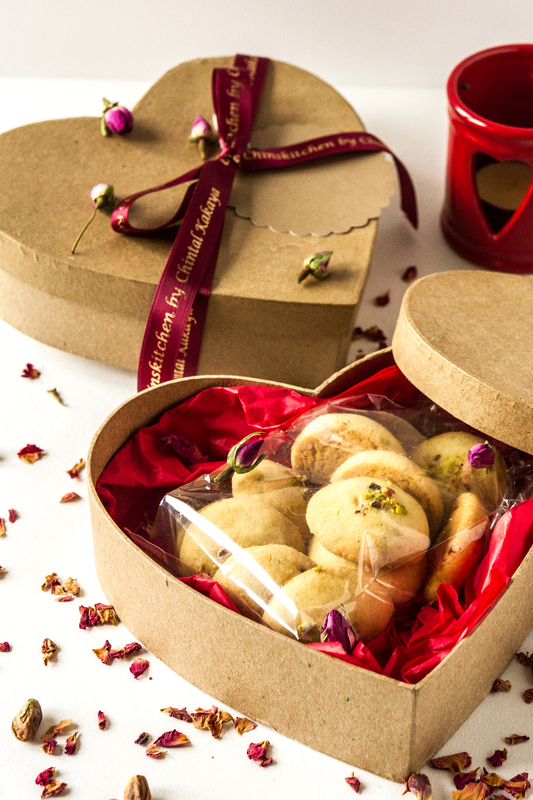 To celebrate the Launch of Chinskitchen online shop and Nankhatai (Spiced Indian Shortbread) , we are giving away one lucky winner our Valentines Nankhatai Gift Box. A gorgeous selection of Rose and Cardamom nankhatai, hand packed in a rustic gift box and gift tag to write your personal message. A perfect gift to treat your loved one. Deliciously crisp, light in texture, melt in the mouth and bold in flavour these little delights will leave your senses luring for more. Products have been quality tested over months and therefore made in small batches at a time. Who would you gift this fragrant selection of spiced shortbread to and why? Competition starts on Sunday 7th February 2016 and will end on Tuesday 9th February 2016 at midnight. Winners chosen at random. Entrants from UK mainland only, prizes will only be mailed out in the UK mainland and non transferable. Prizes will be posted out on Wednesday 10th February 2016.